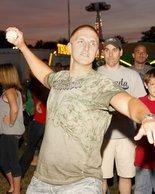 Have you ever wondered how fast you can throw a baseball? Well you can check your speed by throwing a baseball in our baseball pitch radar booth. Our booth is set up two times a year at different locations. The weekend of the Owensboro Bar-B-Q Festival and the weekend of Reid's Apple Festival. For a $1.00 donation, you get to throw three times at the catcher on the backdrop. After two throws, if you guess the speed the radar gun will show after your third throw, you will receive a token gift of appreciation. 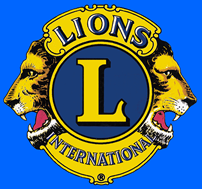 Proceeds are used to benefit the Owensboro Lions Eye-Care Program.